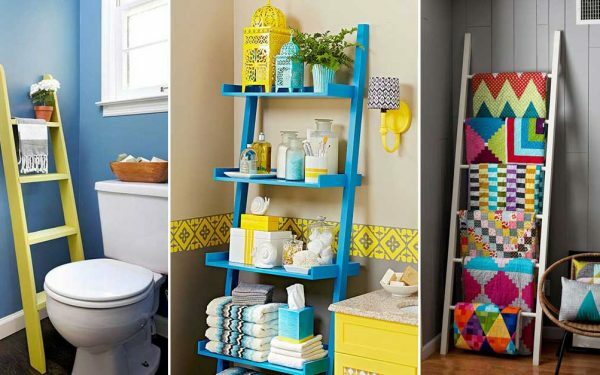 9 Little-Known Storage Ideas You Must Try! 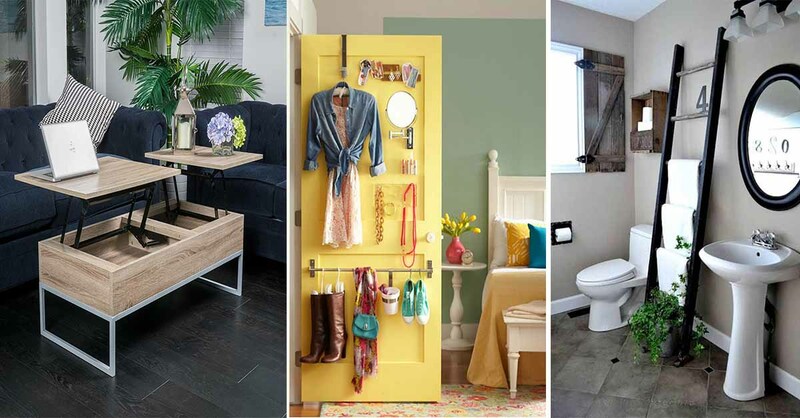 If you live in a small apartment, then you must know how precious storage space can be! 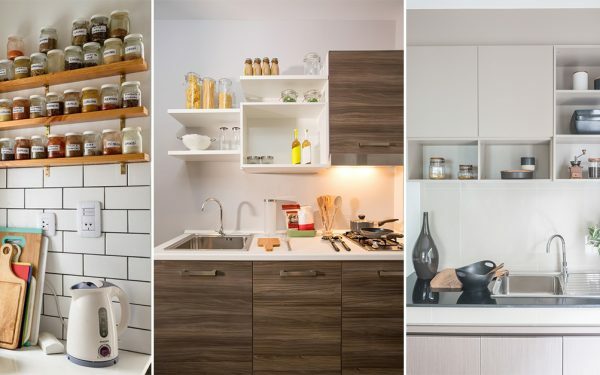 But more often than not, people just aren’t aware of the endless storage possibilities that even their not-so-big apartment can present! 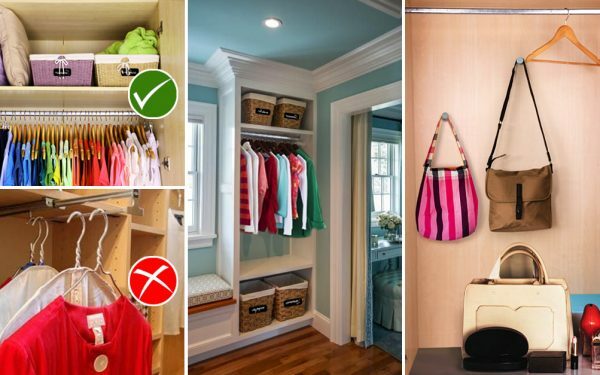 Here are a few not-so-obvious storage tips and tricks that might help you make the most of your available square-footage. 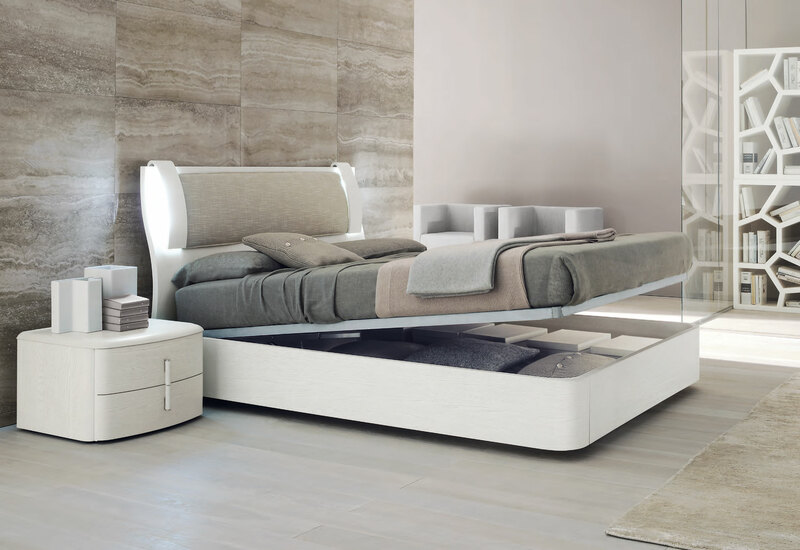 A bed with open side storage like this to store your books doesn’t just look aesthetically pleasing, you will have all the books you need for your night-time reading, right where you need them! 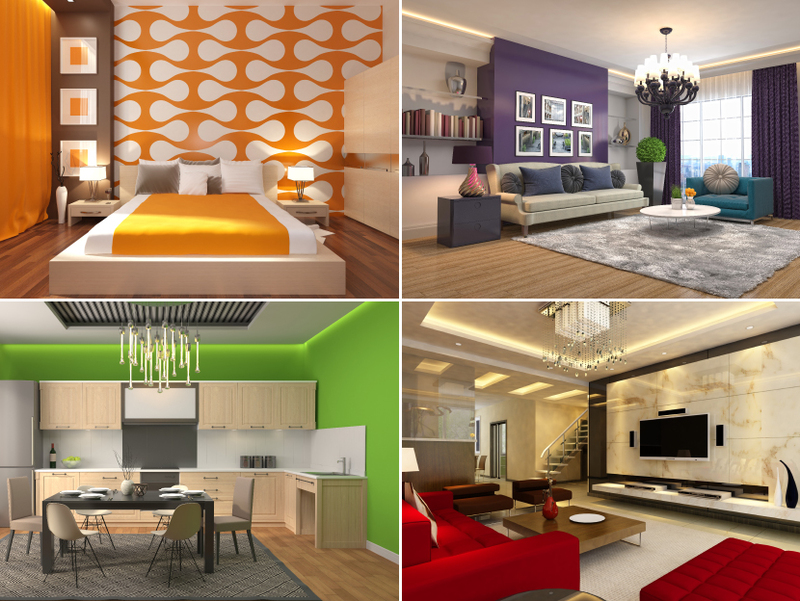 Choose a bed that’s stylish and storage-friendly at the same time and give a home to all the extra pillows and comforters you have. 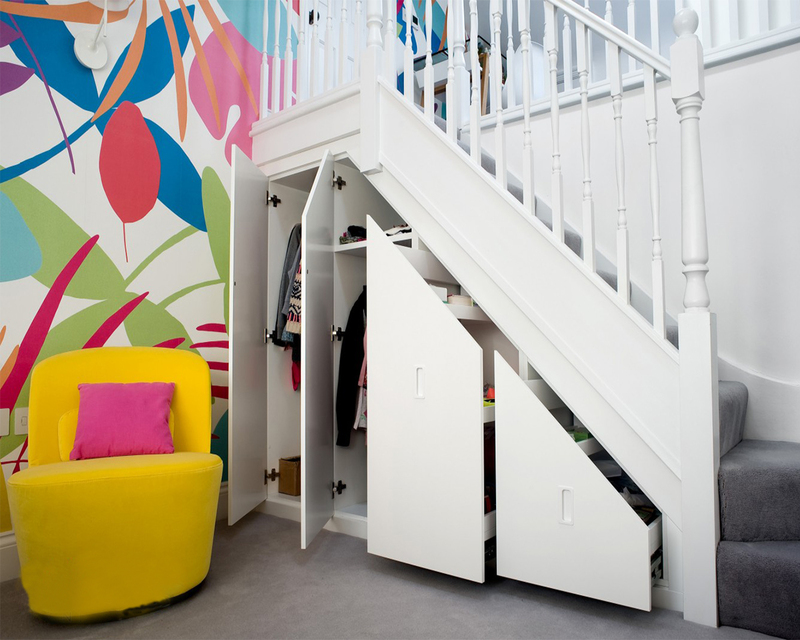 Use the space under your staircase to make a deep closet. 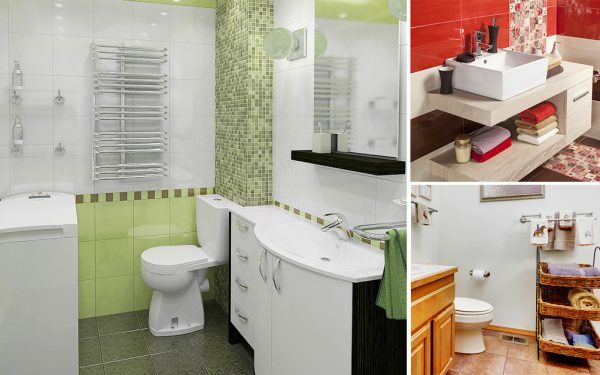 You won’t believe how much stuff you can conveniently push inside it! 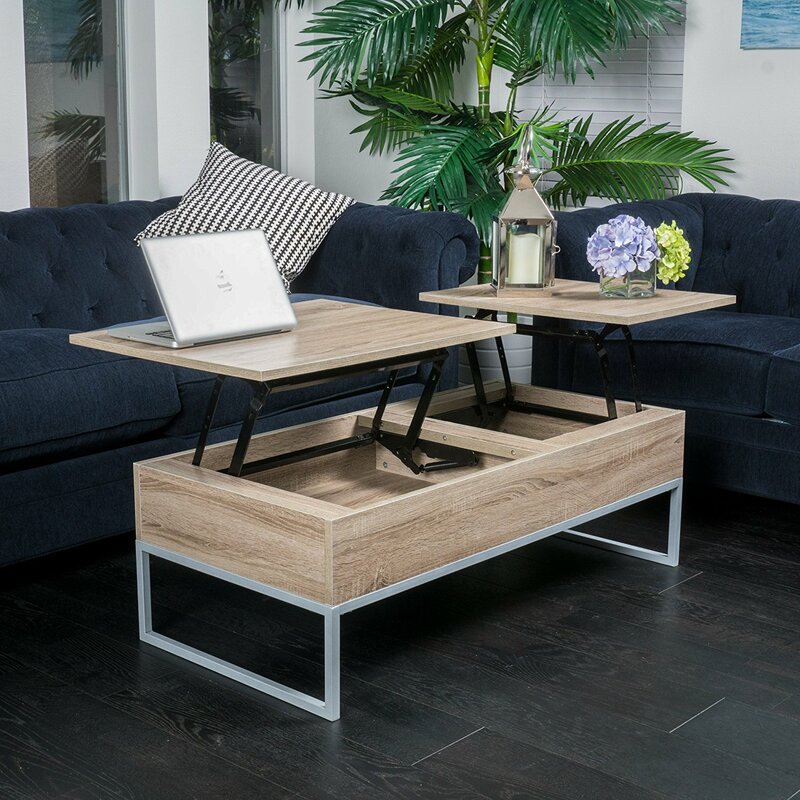 Get a coffee table with hidden storage and use it to prop your laptop on, while you sit on your couch with a cuppa and want to get some quick office work done. 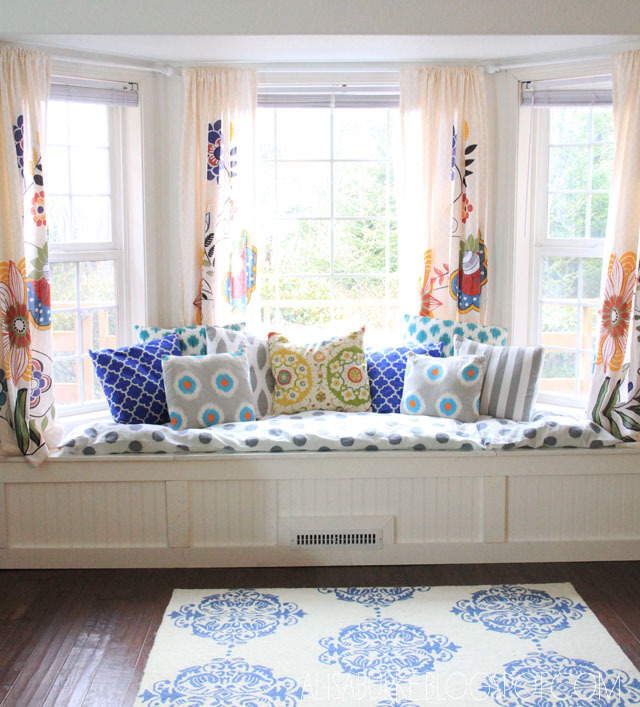 If you’ve got free space under a window, get a storage bench and create a cozy reading nook for yourself, while using the extra storage space to stow away seasonal stuff that you don’t take out all that often. 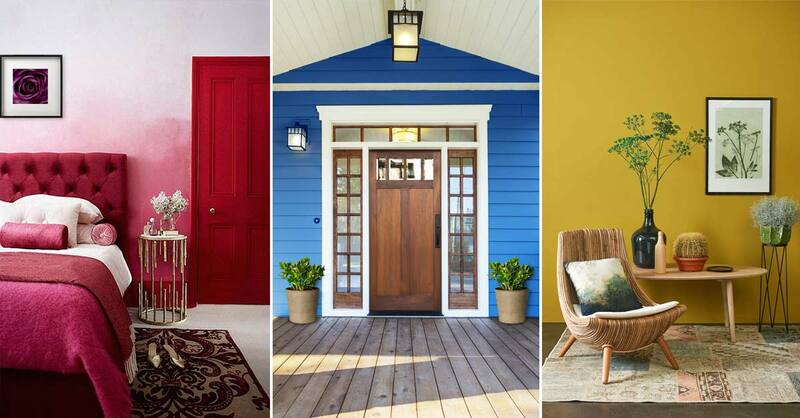 Don’t let your side table be just that. Make it work harder by getting one with two levels. 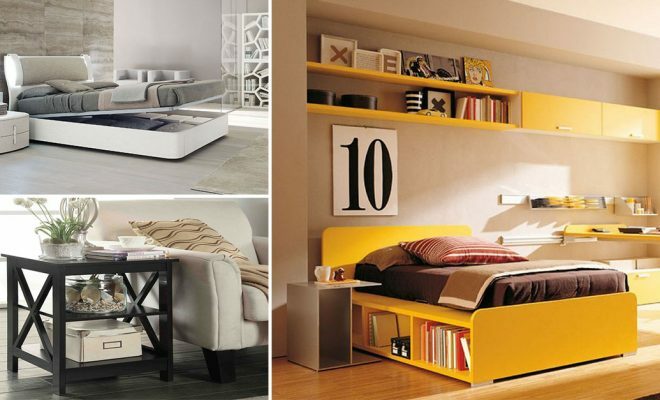 You can use the lower shelf space to store living room essentials in a nice collapsible canvas box. 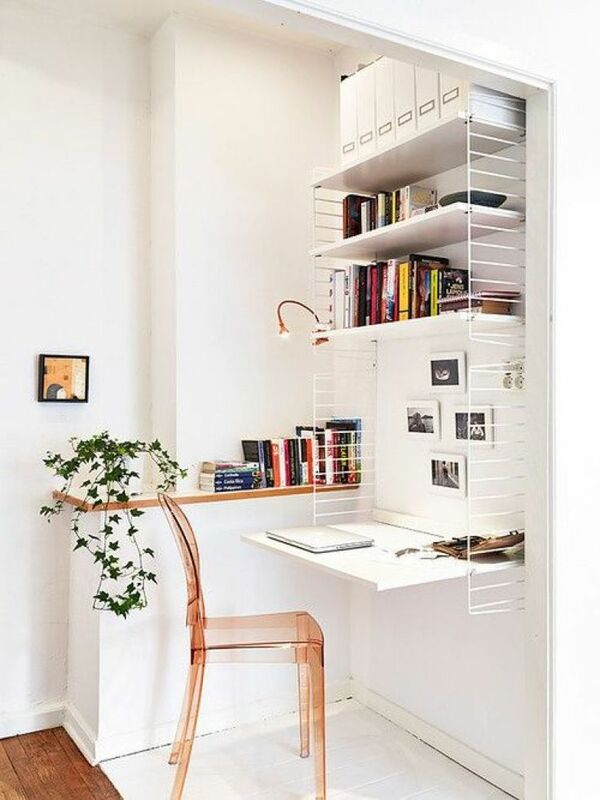 You can put even the teeniest of corner spaces to good use by using the vertical space available to install shelves and even a desk. 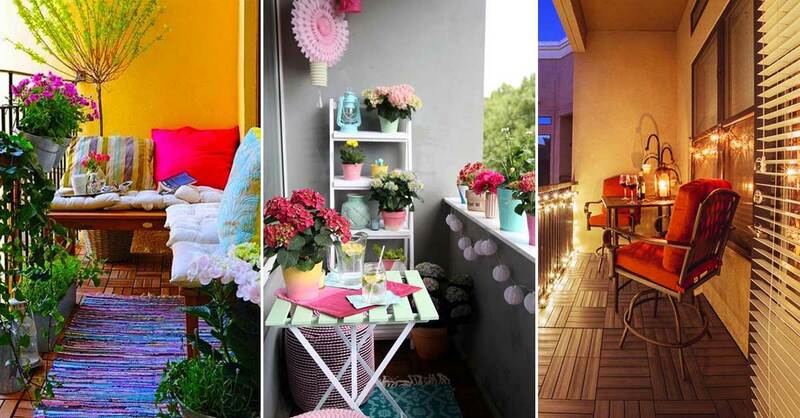 All you need is a comfy chair and your home-office is all sorted! 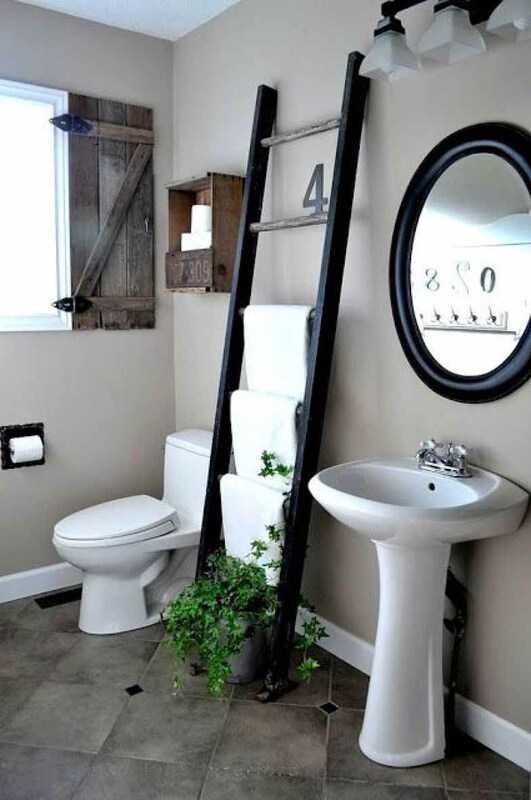 Give a coat of paint to an old ladder and lean it against one of the bathroom walls. 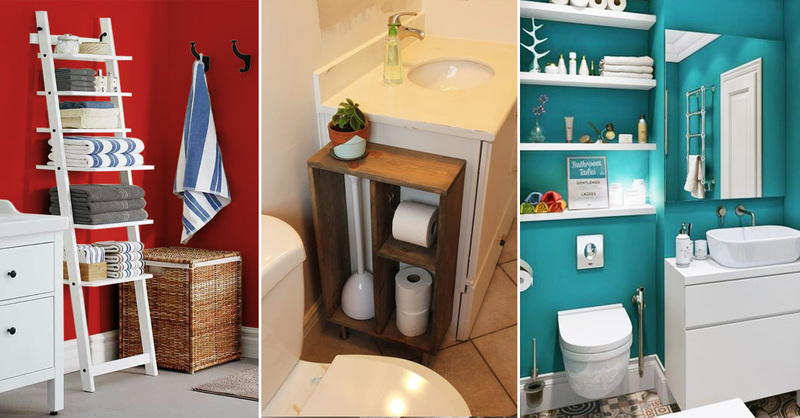 You’ve got yourself a neat towel rack at practically no expense! 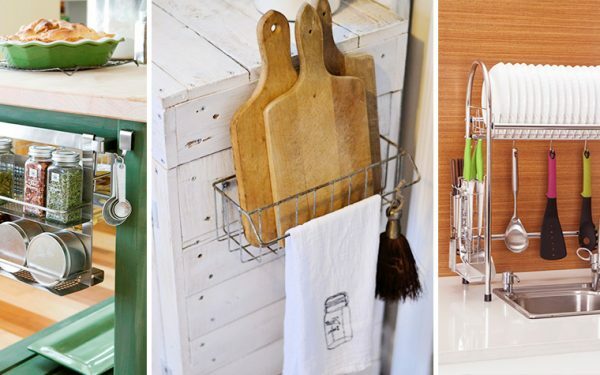 Kitchen Storage was never this easy. 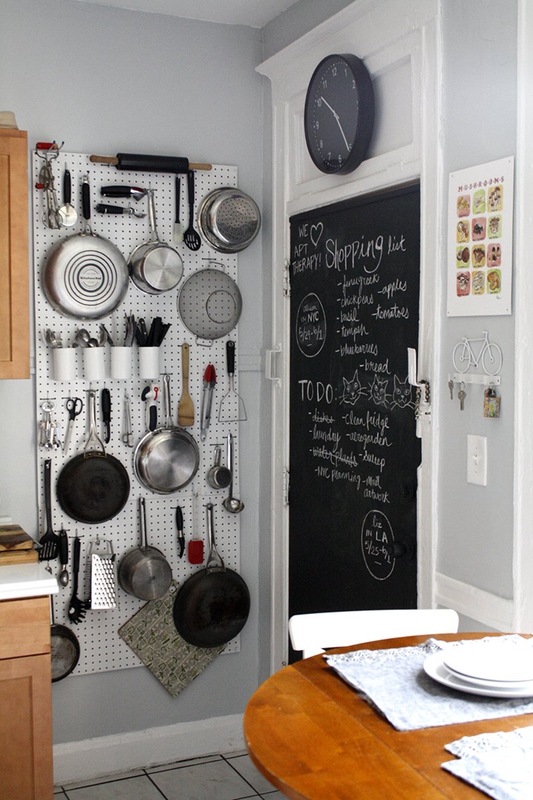 Install a pegboard behind the kitchen door and hang your pots, pans and ladles off hooks. 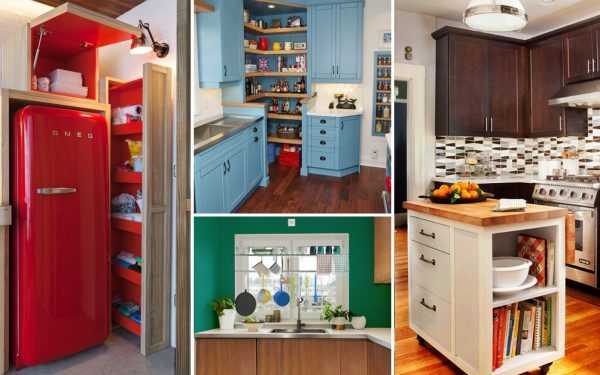 Everything within easy reach, and you’ve freed up tons of cabinet space!